I really enjoyed our last post and first excursion into non-fiction, and so now I follow with another one, this time less controversial and something every epic/military fantasy fan can safely read. My original idea for how to select non-fiction books for Re-enchantment was to find tomes that could be used to better enjoy genre fiction. I’m a great believer in context, in building up one’s general knowledge to see the broader picture. It’s crucial for every serious reader of historical novels, but with fantasy, so deeply connected to the medieval and ancient history of our planet, it’s just as useful. There were never any wizards nor dragons on this Earth, but we had knights, and legions, and empires that had to rely on primitive (when compared to our) technology – and if we read a bit about them, we can judge – and appreciate – the worldbuilding of genre masters so much more. 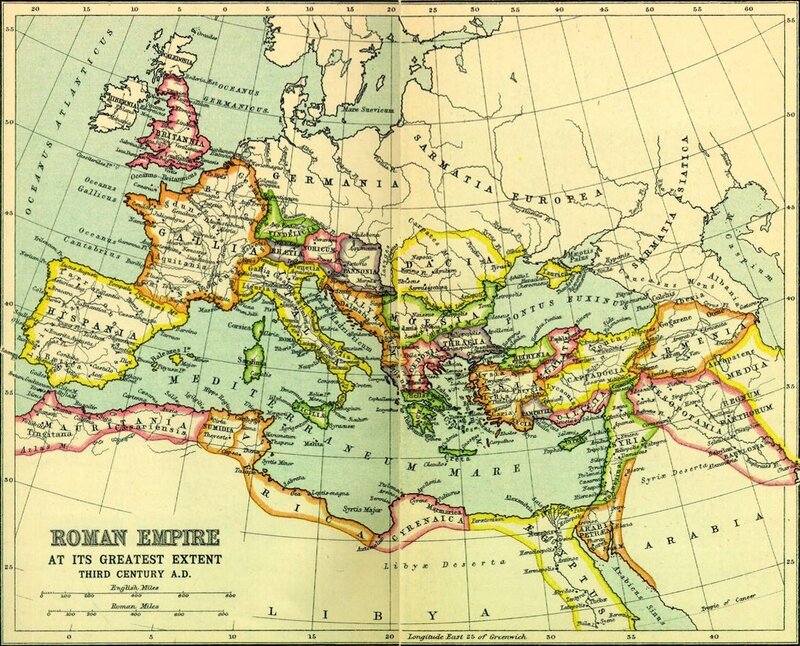 The Grand Strategy of the Roman Empire… by Edward Luttwak was a book I mentioned before, while criticizing a semi-historical novel I did not like, but Luttwak is not a starting point for people interested in Roman history. For that, go to /r/history, they have excellent sections for book and podcast recommendation. Books I’ve read are in Polish and 10-20 years behind latest research. Luttwak wrote a book on strategy of an ancient empire and whatever historians of antiquity might find in his arguments, it’s a great way to further your understanding of how difficult it was to defend a large state without modern communications and logistics. It definitely should be read by every genre author with worldbuilding ambitions. 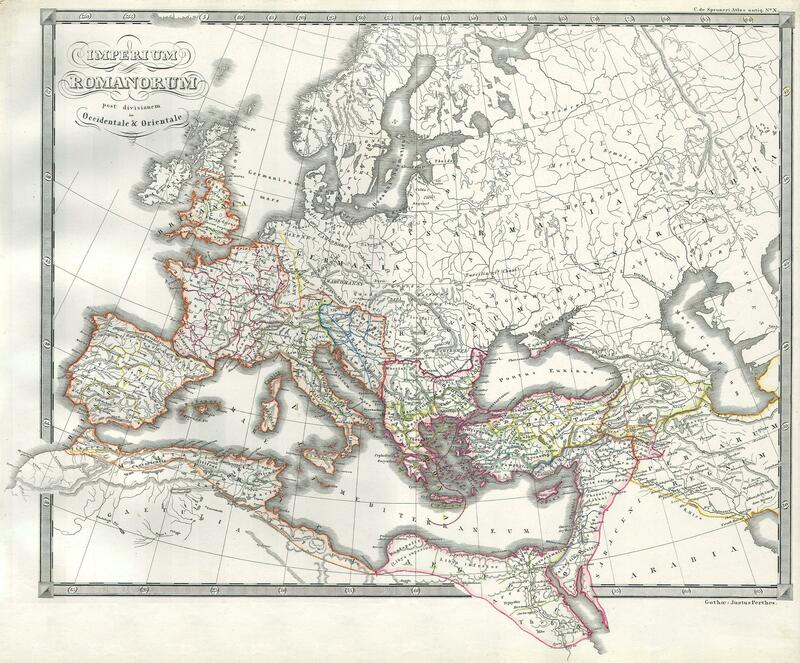 In its 200 pages (the rest is notes), reach in maps and figures, book divides the military doctrine of the Roman Empire into three distinctive stages. The first one, under the rulers like Octavian and Nero, relied on mobile armies, a system of client states, and the fact that Empire had few enemies bold enough to risk its anger. During the second stage, at the height of its power, Rome led by leaders like Vespasian and Marcus Aurelius annexed most of its ineffective allies and defended its very long borders on perimeter, from behind such powerful fortifications as the famous Hadrian’s Wall. Finally, weakened by economic crises and civil wars, facing increasingly difficult threats on all fronts, Romans had to give up on trying to defend all the borders all the time and, in time, created a much larger network of fortifications in the strategic points way inside Empire’s borders, to delay and contain enemies that couldn’t be kept outside imperial lands. This so called defense-in-depth is a concept explicitly formulated centuries after Empire’s collapse and it’s debatable whether Roman decision-makers could establish and uphold – in a highly destabilized, declining Empire – such a mature and complex strategy. Sure, but it’s not the point here. It’s still a great book if you want to understand how the military was managed by great empires of old and what kinds of threats they could encounter. The reasoning behind troops deployment, the way fortifications were used not just a picturesque background for battles, but as tools of policy, ways ancient Empires interacted with different types of neighbours… and how they could try to postpone their decline and collapse. And there is strategy in fantasy, starting with LotR, where, to mention just the easiest example, Gondor uses its fortifications and the allied Rohirrim to secure its borders, against greater and great odds and with decreasing efficiency. Every good war written into genre fiction has its wider considerations, even if not explicitly explained to the reader. Some great writers use geostrategic chess game as a backbone of their entire series, the long war between Bayaz and Khalul is my favourite part of The First Law universe! I see, in many books, a tendency to simplify these issues. Often, it’s a reflection of how authors sees current politics, and a few stereotypes about history he or she caught along the way. With Luttwak you can look beyond that, to understand how the economic and geographical realities shaped history long before the formal establishment of political science. As George R.R. Martin showed us, when you add dragons to history, details change, but the general rules of strategy don’t. Highly recommended, at least for fans of relevant subgenres. I really hope to check out The First Law someday soon, but this review definitely made me even more curious about that geostrategic chess game. Anything that has a strategy behind it will easily seduce me. I also love that you mention the pertinence of checking out historical non-fiction like these to see what inspires some great fantasy stories. That was easily THE sentence that made me want to do some historical research. Thanks for sharing this informative review, sir. I like to combine fiction with compatible non-fiction, and Luttwak’s book serves great as something short, readable and useful. We might explore some further titles from this field, but this is my personal favourite. And pretty accessible, not a textbook, not too much scientific vocabulary, a minimal knowledge of Ancient history will be enough to guide you.